Most cataracts arise as part of the aging process. However, early onset lens opacities may be familial, often transmitted in an autosomal dominant pattern. These have a highly variable appearance and may be unilateral or bilateral. There can be considerable interocular asymmetry in morphology, density, location, and rate of progression. This is also true of intrafamilial characteristics. Age of onset is variable. There are no associated systemic abnormalities. 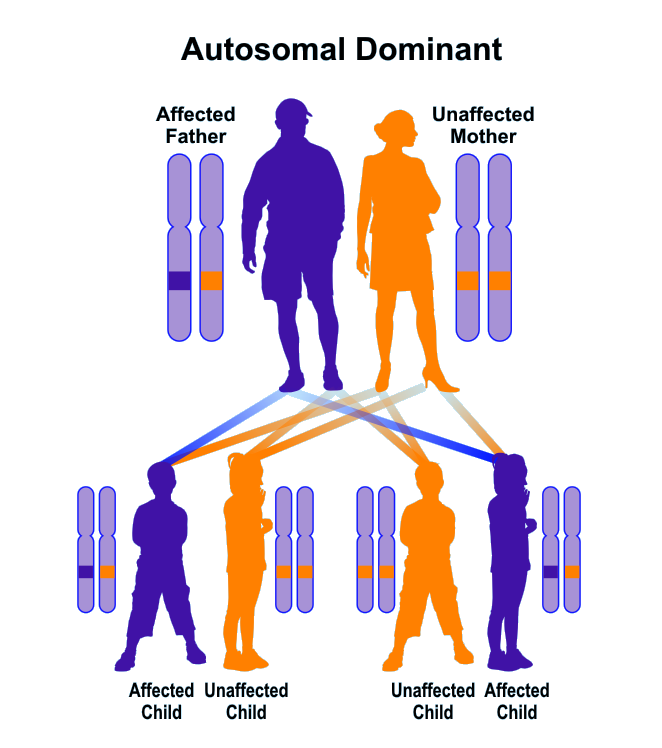 At least 25 loci scattered among multiple chromosome have been identified to cause simple autosomal dominant cataracts (See 604219). It is not yet possible to make phenotypic - genotypic correlations due to the large variation in clinical characteristics. Lens extraction is indicated when the opacities become visually significant. Faletra F, d'Adamo AP, Pensiero S, Athanasakis E, Catalano D, Bruno I, Gasparini P. A Novel CRYBB2 Missense Mutation Causing Congenital Autosomal Dominant Cataract in an Italian Family. Ophthalmic Genet. 2012 Jul 30. [Epub ahead of print]. Shafie SM, Barria von-Bischhoffshausen FR, Bateman JB. Autosomal dominant cataract: intrafamilial phenotypic variability, interocular asymmetry, and variable progression in four Chilean families. Am J Ophthalmol. 2006 Apr;141(4):750-2. Ionides A, Francis P, Berry V, Mackay D, Bhattacharya S, Shiels A, Moore A. 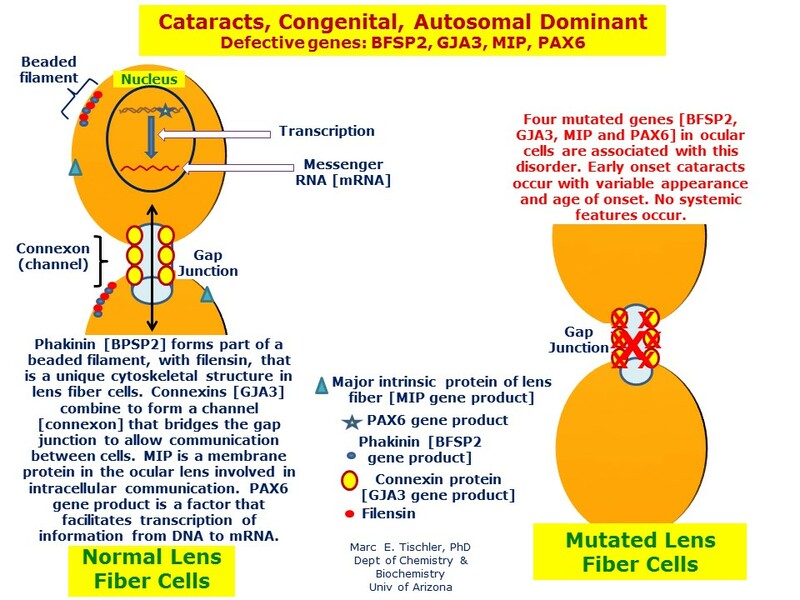 Clinical and genetic heterogeneity in autosomal dominant cataract. Br J Ophthalmol. 1999 Jul;83(7):802-8. Scott MH, Hejtmancik JF, Wozencraft LA, Reuter LM, Parks MM, Kaiser-Kupfer MI. Autosomal dominant congenital cataract. Interocular phenotypic variability. Ophthalmology. 1994 May;101(5):866-71.